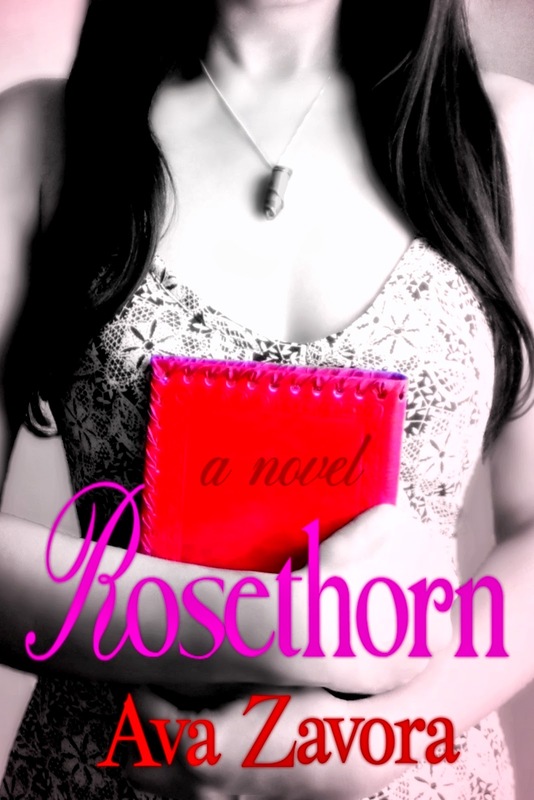 Rosethorn still stood, mostly as Sera remembered it, an oddly put together, eccentric Victorian mansion with spires and a turret, many gables, a delicate confection of gingerbread detailing and colorful stained glass windows. After all these years away, Sera had begun to think she had only dreamt it-but it was all there, even down to the whimsical winged lion weather vane sitting on top of the turret facing the sun. To her surprise, she found that she had been holding her breath as she had driven toward it. Now that she saw Rosethorn still existed, that she had not dreamt it after all, a great breath expelled itself from her and the knot in her heart loosened. She opened the unlocked gate, which she noted had been fixed, and started walking down the brick walkway. Again, she felt the sensation of each step taking her back to years ago and could almost hear fragments of forgotten conversations hovering in the air as if they had been captured and suspended in an invisible web. Someone had recently trimmed back the rose briars that used to cover the brick path and stray stems littered the ground. There were green leaves sprouting all over the tall briar hedges and buds of green and red. In a few weeks the house will be surrounded by walls of crimson roses. Standing on tiptoe, she reached for a blossom with deep red petals that had opened fully and snapped it off. She inhaled the scent of her stolen rose, and just like that she was back---the young girl all those years ago, an illicit trespasser wandering in the rooms and nooks of the house before her, plotting out a life that had been so real to her that all that she had done and seen since then seemed insubstantial, as if the intervening years were a long dream and this, what had happened in this house, was the life she had truly lived. Here she had been a queen, mistress of all she surveyed, and finder and keeper of its many secrets. The world had never seemed so large and full of possibility as it was when she had been here. From a great distance, Sera heard construction, removing her from the past. With some difficulty, she forced herself to come back to the present and approached the front door. She placed her hands on the roses carved on its surface, mimicking the white climbing roses that used to cover the front porch, but had now been severely pruned. Peering through the stained glass window, she saw that the inside was empty, although clean. No one answered her knocking. Following what sounded like loud stapling, she walked on the path adjacent to the carriage house, observing that some work had already been done to the wood siding and the foundation of the porch, which had always seemed rickety to her. An old white pickup was parked by the carriage house. She went to the back. A tall steel ladder was propped up against the eaves next to the turret. The roof on that whole side of the house had been ripped up and thrown into a large garbage bin next to where she was standing. Stacks of new black roof shingles were piled here and there on the skeleton frame. Almost half of that side of the roof was done. A shirtless worker, padded knees bent on the roof frame, had his back to her and was steadily stapling shingles in place. The midday sun was baking here. “Hello!” She yelled louder, cupping her hands around her mouth. The roofer stopped and turned around, shielding his eyes to look down at her. Sera opened her mouth to speak, but found that she had lost her voice. He looked at her, waiting. Even when seen from a distance she was astounded at how blue his eyes were. She swallowed instead and lowered her head, thankful that she was wearing large sunglasses. She knew that he couldn’t see half her face, but she turned her head anyway. “Sorry,” she mumbled to the ground. “Sorry.” Her voice sounded shrill. “I was lost. Sorry to bother you.” She started retreating fast, almost running back to the other side of the house. A few more steps and she would be around the corner where she could do a full, if inelegant, sprint to her rental car. Her face burned. Want to know when a new book releases?